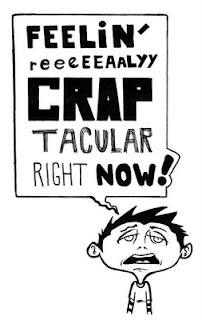 The Tanoshiboy Chronicles: Design & Illustration Blog: It's Wednesday, time for some craptacular crap! It's Wednesday, time for some craptacular crap! So yesterday was a mess and I was feeling just like this. No kidding. I just didn't have time to put it up. Anyway, here it is. Enjoy.